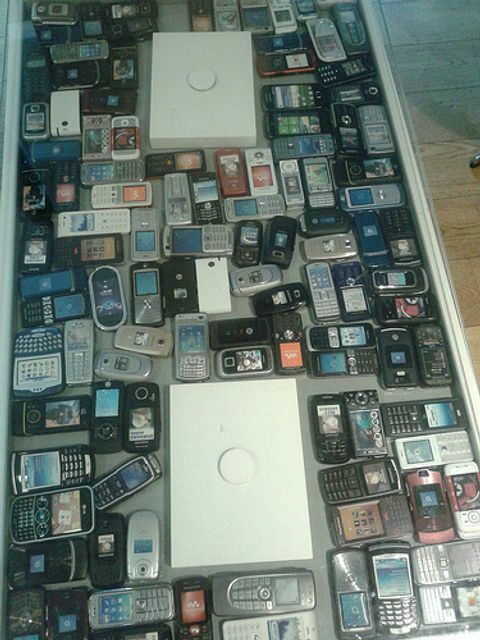 What do you do with your old devices? This article predicts that there will be a staggering 50 billion internet connected devices by 2020. Although it's not the primary focus of this article, it provoked an interesting question of what people are doing with their old handsets when they upgrade their device in line with technology advances? At 2Circles, we recognise that unwanted devices in the UK can be put to effective use in developing countries whose network infrastructure isn't as advanced as ours. We have therefore recently paired up with a local charity called Harpenden Spotlight on Africa who redistribute our clients' unused handsets after they have been securely wiped and factory reset. We're looking to promote this project and make a real difference to the doctors, paramedics, teachers, engineers and others that will benefit. Please get in touch if you have unused handsets that you would like to contribute to this fantastic project. Consumers are constantly looking for the best and fastest cellular technology, and carriers are responding by churning through network evolutions. We’ve gone from 2G to 3G to 4G in rapid succession, and we’ll be to 5G and 6G before we know it.